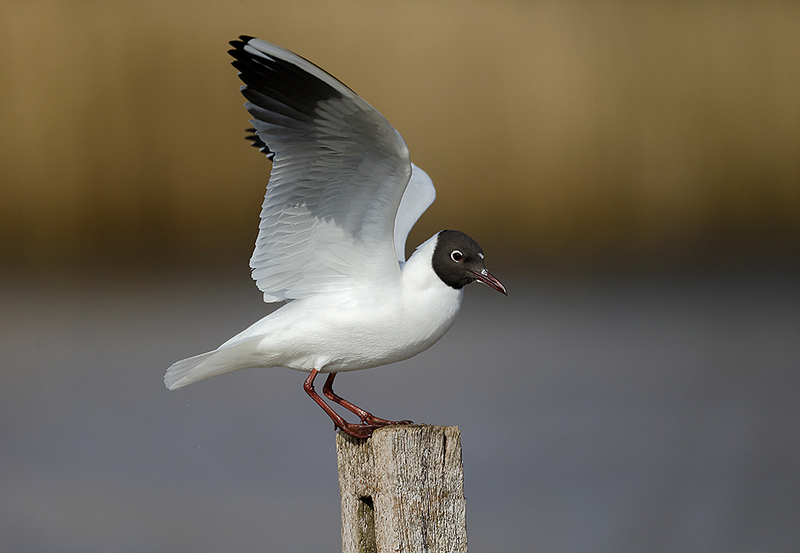 Black-headed gull. Canon EOS 1dx. 800mm lens. 1/6400th at f5.6. 800 iso. From a wooden hide. In the past Sparrowhawk, Osprey, Cormorants and Kingfisher have sat on this post in front of a permanent hide on a wader scrape.